Newent & District Rotary Club has proudly wheeled out its newly constructed Soap Box Racer! It still requires a few Rotary logos, but will be ready for its first race, at Richard's Castle Soap Box Derby on Sunday July 8th. The cart is called ‘Gravity Racer’. Apart from the wheels and safety harness, it has been completely built out of recycled materials: the frame was a rusty go-kart found in a field, the body shell was a car roof-box ‘rescued’ from a skip, the fairings were cut from an old, plastic compost bin and the brakes came off a wrecked bike at the scrap yard... oh, and the amazing gold paint was left over from spraying a car. 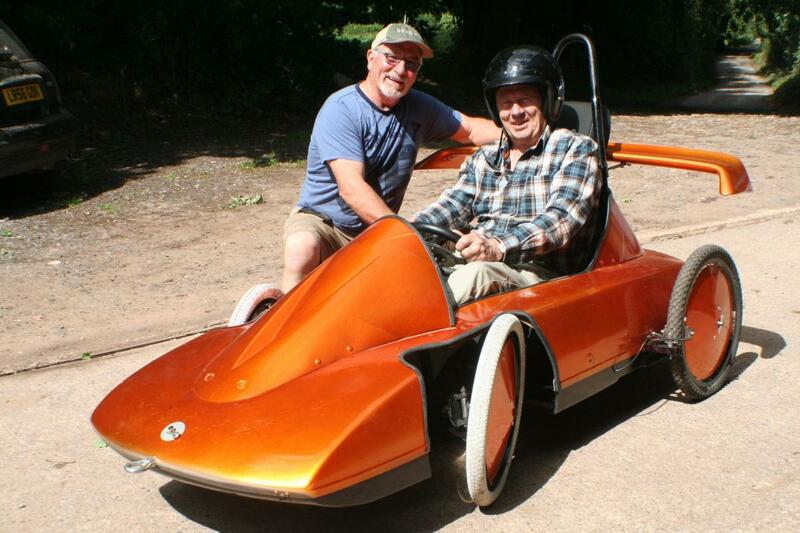 Newent Rotarians plan to enter their cart in other races to raise money for Alzheimers Society; the next race will be Brockweir ‘Brake for the Border’ Soap Box Derby on 15th September.